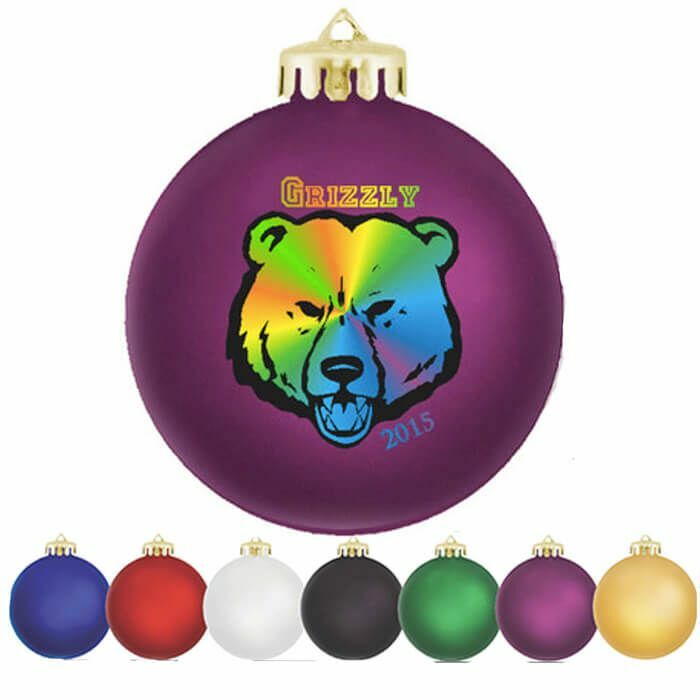 Economically priced, satin finished, durable, shatterproof ornaments are available in 8 bold colors. Made of shatterproof plastic. Product Size 3 1/4" in diameter. Imprint Area 2" Diameter; Full Color: 1 3/4" diameter. Setup Charge $20.00 per ink/per color. 2 side imprint max. $35.00 Full Color. These are perfect for our Christmas Party! They look great! Thank you for the Wonderful Ornaments. Just wanted to let you know we received our Hand and Stone ornaments and they turned out great!! Thank you and Happy Holidays! WOW! Fast Delivery and fantastic Print on the Ornaments! Thank you! The ornaments arrived this morning, and 1 day early on our already rushed delivery time! The print also came out really nice. Great job, you guys! Thank you and we will be back again for sure.